PCPCC received a Eugene Washington PCORI Engagement Award for a structured 17-month effort to build its infrastructure, capacity, and expertise to increase awareness and disseminate patient-centered outcomes research (PCOR) and clinical effectiveness research (CER) results more broadly, rapidly, and effectively. Why build a dissemination infrastructure? 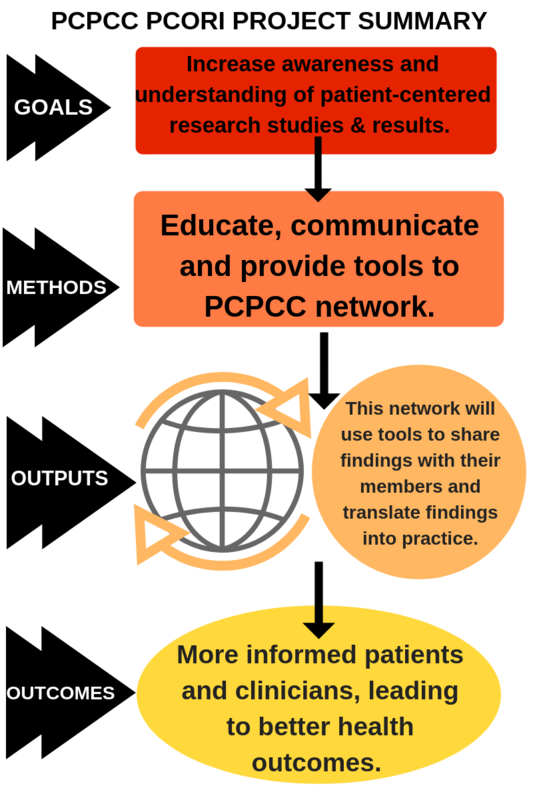 PCPCC is a national, multi-stakeholder organization that offers a unique opportunity to create a powerful network to rapidly and effectively disseminate PCOR and CER results. PCPCC has the foundation and ability to increase awareness of PCOR research and improve the dissemination of PCOR and CER results. This increased awareness and dissemination will drive clinical improvement and policy change, which in turn will help PCORI reach their goal to fund research that will help patients and those who care for them make better-informed healthcare choices. Does a Peer Support Program Improve Satisfaction with Treatment among Patients with Obstructive Sleep Apnea?